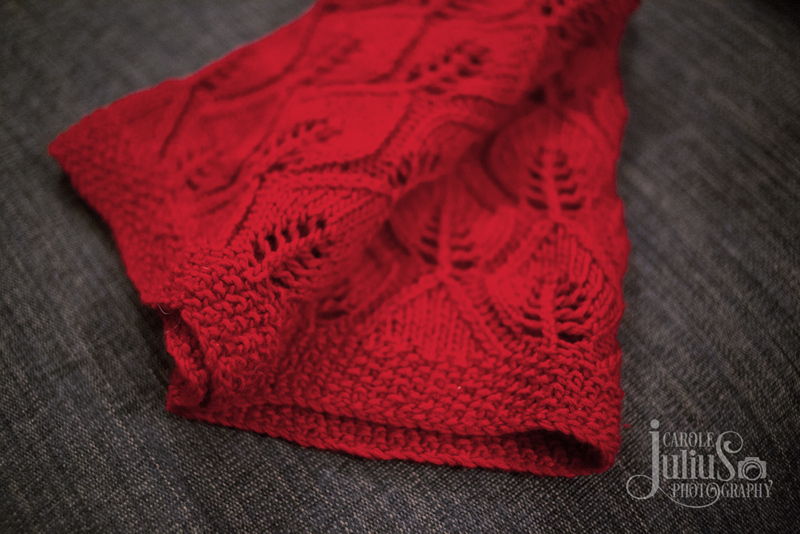 Back in November I signed up for a mystery knit for a cowl and, as it turned out, I didn’t care for the pattern. I had purchased some pretty yarn, though, and I was committed to making a cowl and just needed to find a different pattern. The Leaving Cowl was the perfect choice. The pattern is free and well written. It’s easy to follow and the simple leaf pattern knits up quickly. 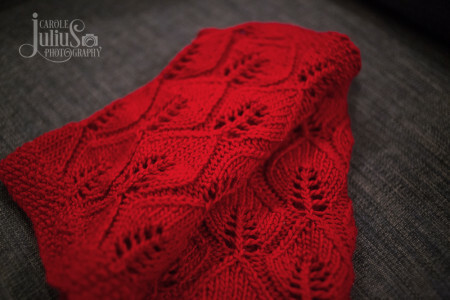 The yarn is Cascade Yarns Venezia Sport in a beautiful shade of red called Ruby. It’s soft and drape-y and made a lovely birthday present for Doreen. She told me on Friday that she has worn it every day since I gave it to her back in December. A knitter can’t ask for more than that. It’s beautiful and I love the color!! I have to admit that the cowl design of the KAL that I am working on has been deeply modified because I know Hannah would not love it and it is for her. 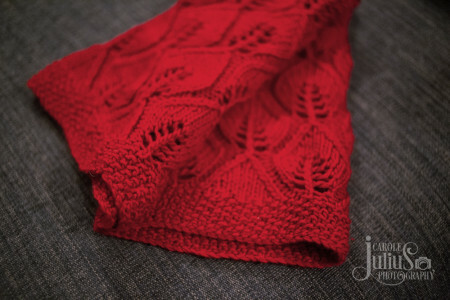 The benefits of being way behind on a KAL. LOL. I bet that color looks fabulous on Doreen! That color! So perfect for Doreen. Lovely cowl, Carole. That’s is beautiful! 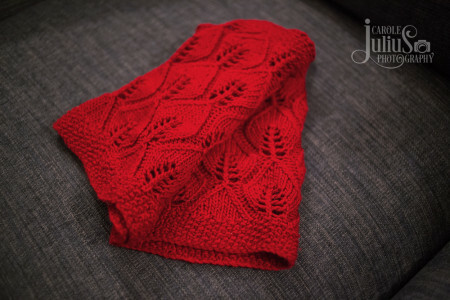 I have been looking for cowl patterns and I just might try that one. It sure looks fabulous on that sofa. Love the colour, love the design. Doreen is most certainly knit-worthy! Cascade is great. And a simple free pattern makes me smile! 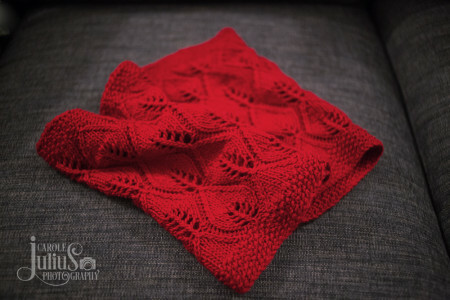 What a lovely cowl! I always wonder how non-knitters manage in winter, and I guess the lucky ones do it by having knitting friends. Lucky Doreen! Beautifully knit! Thank you for the pattern link, which I have put in my Ravelry library. 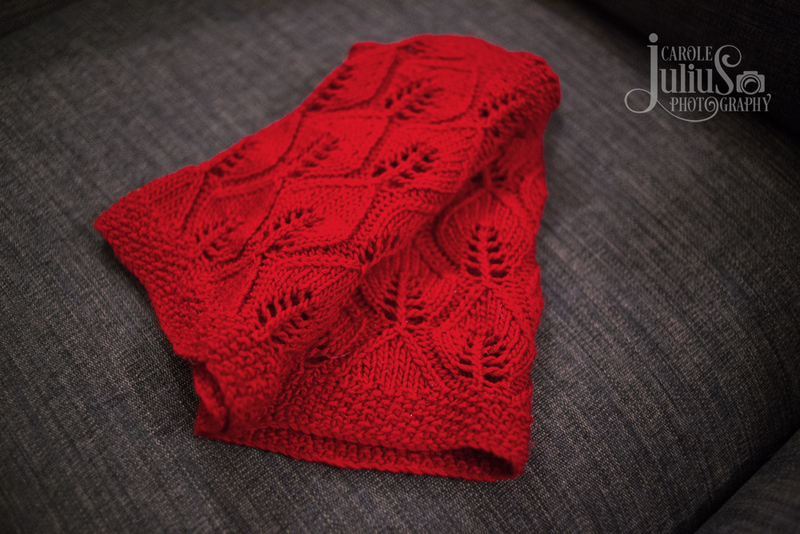 Did you see that there are matching cuffs, also a free pattern? That’s a really nice pattern! And the color is pretty special too. Nice job Carole and lucky Doreen! That red is to die for! There’s nothing better than having something you’ve knitted worn….a lot! That is an absolutely beautiful cowl! I think I’m going to have to make one. Love the color and the pattern. The cowl is a lovely gift! oh it’s pretty! I love Venezia…that bit of silk really shines through! Oooh, that’s pretty — what a gorgeous color! I love leaf motifs.